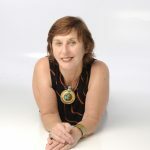 Patricia has been a pioneer in organizing events and seminars to activate awareness of health and consciousness in Australia. 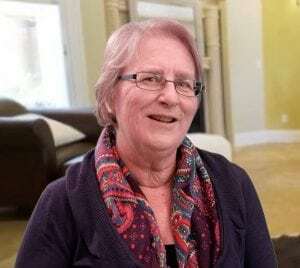 In 1987 she created the first Directory of Natural Health Therapists: the Blue Pages in Western Australia. This led to the establishment of the first Conscious Living Expo in August 1988 and in June 1989 the publication of the first edition of Conscious Living Magazine. In 1997 she established Conscious Living On-Line with a Resource Directory for services, products and articles. Educated at Australian National University Patricia achieved a Bachelor of Arts with honours in Asian Studies in 1973 . The inspiration for Conscious Living came out of the years she studied with the spiritual master, known as Osho who was based in Poona, India from 1978 to 1981 and the subsequent 7 years she was involved with managing the Osho community’s projects in India and Australia. During these years she gained enormous knowledge and experience of the body-mind connection to health and wellbeing. Through her training in meditation, bodywork and pioneering energy therapies, she came to the realization that changing the world is only possible when we shift our consciousness. Patricia formed a vision to create a vehicle which could assist in communicating awareness and consciousness to people who are interested in greater health and wellbeing for themselves and for the planet. She created Conscious Living Co-Creations a media company to publish information on natural medicine, food and nutrition , eco-living, consciousness and environmentally sustainable lifestyles. Patricia’s vision has now evolved to support and nurture the growth of businesses which are contributing to healthy sustainable living via the Heart Conscious Business Hub. To create a global heart conscious business community available to everyone, everywhere. Jacquie has a background in Education with 30 years teaching experience. She is an intuitive empath and Reiki healer and Whole View facilitator who has run retreats and training courses for various modalities. 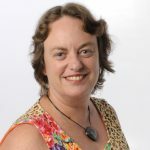 Jacquie has the ability to clarify and see the unique and whole picture view of a given situation described in a shared conversation and is able to cut though the distractions and gets to the heart of the matter, bringing a wealth of experience from her personal healing and life journey in this life time. She practices active listening and gives her full presence and attention to her clients, with the aim to empower and inspire, giving positive and constructive feedback and sharing insights. Jacquie joined Conscious Living in 2011. Her role includes customer service, administration, program production; magazine production, and social media. An entrepreneur and author. Rochelle brings her unique, insightful and intuitive approach to the science of business, helping entrepreneurs turn confusion into cash and create the business that fuels their passion. Rochelle also assists business owners and practitioners who are writing a book, and who have a message of change and transformation stay connected energetically and intuitively to the message and guidance received as they write. She also writes copy for blogs, newsletters, and posts which are intuitively guided and support the purpose and intuitive direction of the business or practitioner.